The Layout menu option (Ctrl + L) offers a tab headed Extra Set column. Here you can click to add a column (and delete any extra set columns created). is to aid in filtering and sorting your data. In this example, the word pig has been classified in the original set column according to whether it is Fictional, a Commodity, an Idiomatic usage, or Abuse. In the Set 2 column a further classification has been used to signal Positive or Negative contexts. It has been sorted on the Set 2 column. 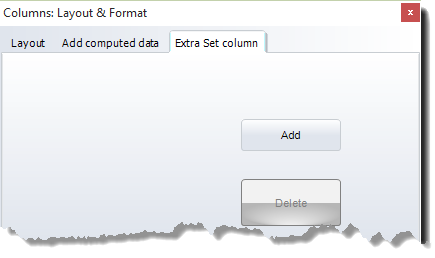 Now it is possible to delete the additional Set column if desired. 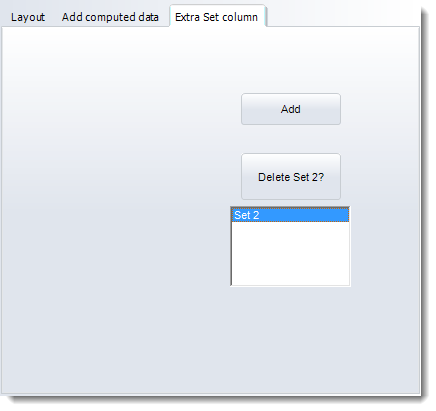 Click in the new column to select it, then enter your set column data as desired. Which Set column is active? Note: If you're typing in Set values for a row with multiple Set columns, the input will automatically go next to the next Set column on the same row before going down to the row below. See also: compute new column, colour categories, type-in versus set option, column layout.